visit: http://www.stevemeadedesigns.com/board - Join our fun, friendly and knowledgeable community today! SMD Products can be found at http://www.wcCarAudio.com , Amazon, Ebay and more! You get what you pay for. I got this small run of Tinned OFC from http://www.ceautoelectric.com . I actually have 2/0 at the shop but that wouldn't be a very good comparison. So i got this strictly for the video. I may use it in something now that i have it though! 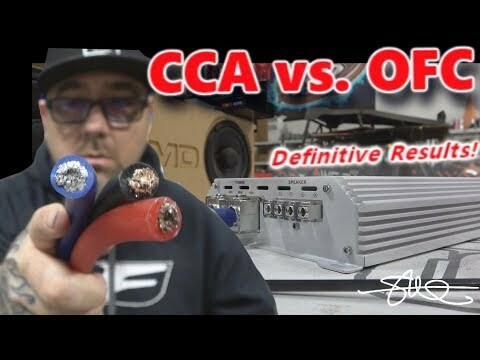 Great video, my brother seen the same thing with his setup, the voltage meter at front bat vs back at the amp was dropping over 1v just from using ccs, switching to ofc he only saw .1 to no voltage difference at idle.